Personalized pencil bag holds pencils, pens, erasers, even lunch money, and is slim enough to tuck neatly in backpack or desk. We’ll personalize this stylish school essential for one very organized student! Specify name. Limit 1 line, 10 letters/spaces. Specify color: blue or pink. Nylon. Zippered pencil case is 9″ long x 1 1/2″ wide. Pencils not included. 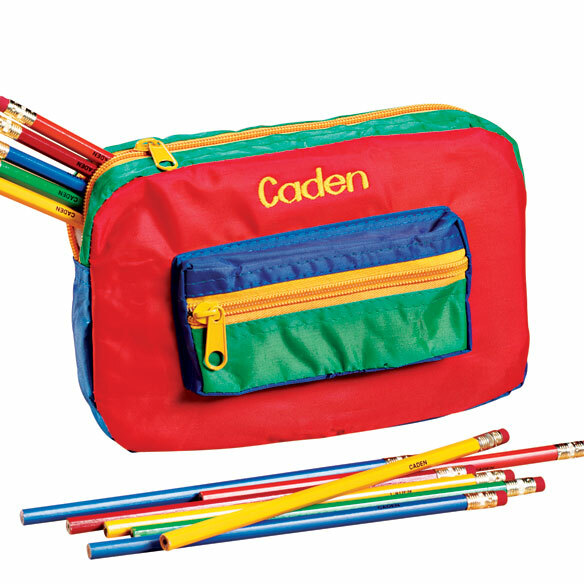 Of course you can keep lots more than pencils in this multi-colored nylon personalized pencil pouch—but pencils fit great, and there’s an outside pouch that zips open and shut for leads, erasers and change. Plus, the inside of this zipper pencil pouch has a 1 1/2″ expanding gusset to hold even more. Multi-colored nylon kids pencil pouch. 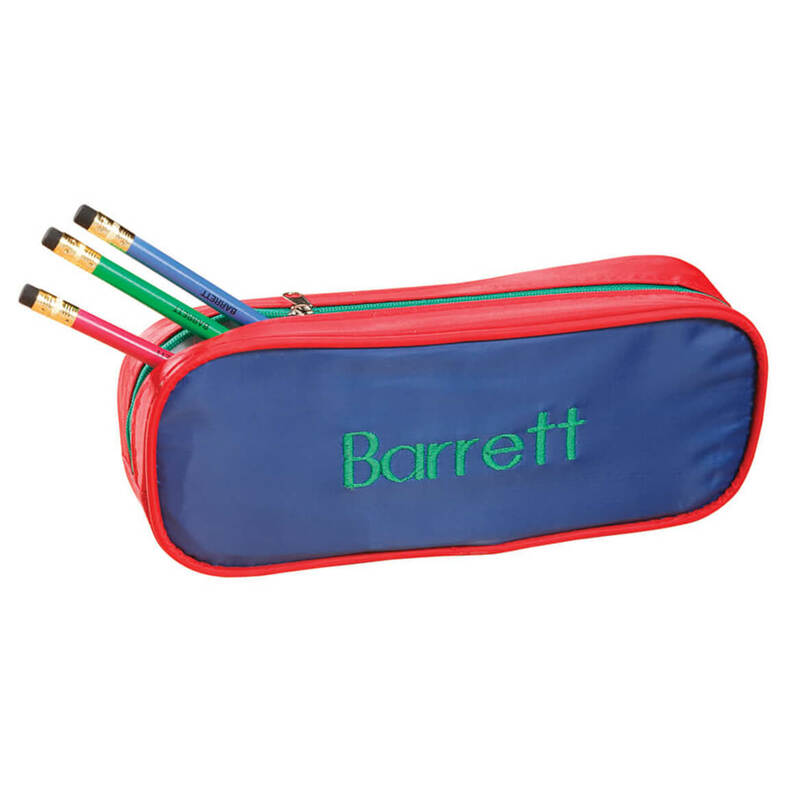 Specify a name for your custom pencil pouch; limit 1 line, 12 letters/spaces. 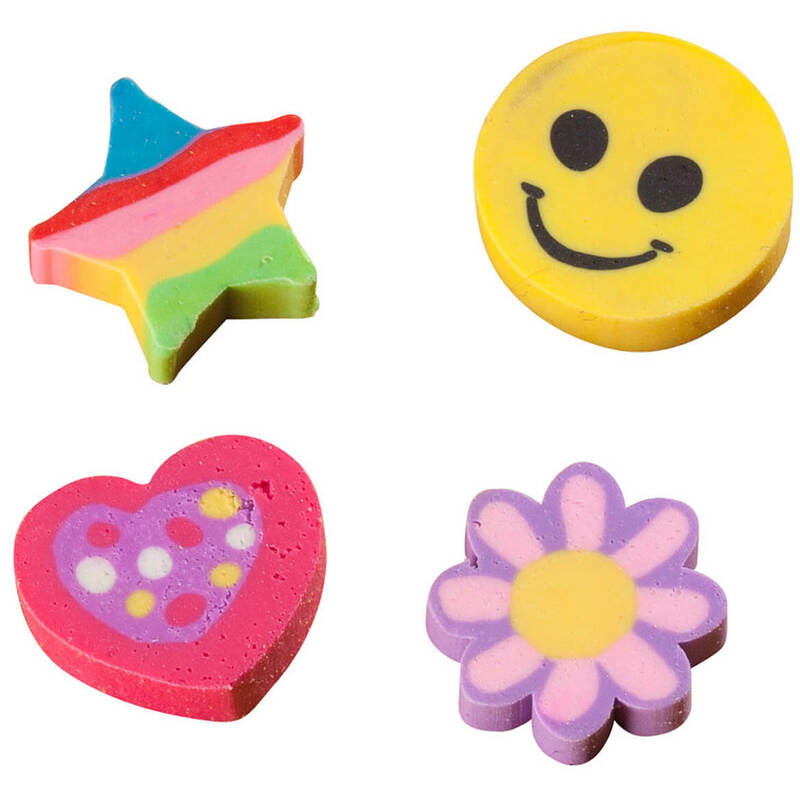 7 1/2″ long x 5″ high x 1 1/2″ deep. Designed just like a classic sneaker, this personalized sneaker backpack is the perfect accessory for school, sleepovers and sporting events, or a cute bedroom decoration. 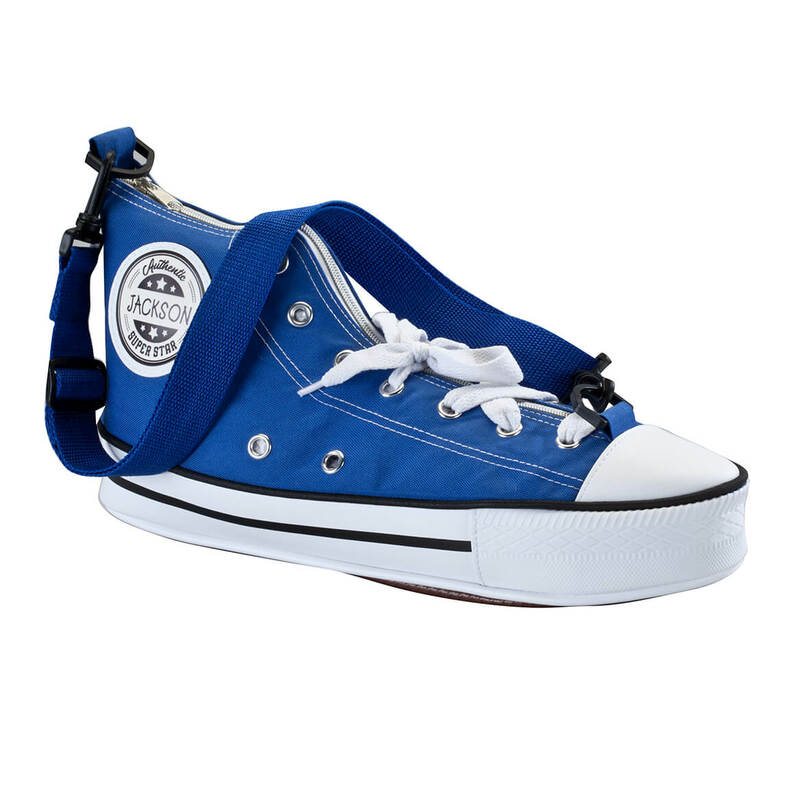 Designed in red or blue canvas, the personalized backpack features a full zipper closure beneath white shoelaces, white rubber toe box with textured toe bumper, side air vent portholes and textured rubber tread. We’ll add any name to the “Authentic Super Star” ankle patch, creating a custom look for one special boy or girl. Specify color; red or blue. Personalize name; limit 1 line, 10 letters/spaces. Polyester; spot clean. Strap bag measures 15″ long x 5″ wide x 8″ high; detachable strap adjusts from 26″ to 45″ long.